As a result, it’s the perfect opportunity to learn about budgeting and financial management for both parents and kids.For parents, start early, make a budget and a list, and comparison shop. For kids, make sure they are a part of the entire process. Determine your budget just as you would for your holiday spending. Make sure the budget you create is not sidelined by a bunch of ‘wants’, instead of based on true needs. If your child’s school or teacher has issued a suggested supply list, check it carefully. Is everything on the list a ‘must have’ or are some things ‘nice to have’? If your kid is off to college have them check with their roommate to see what they can rent from the university. There’s nothing like hauling a moldy mini fridge down 5 flights of stairs. Don’t let the latest tech stretch your budget. Reach out to your university’s digital media lab and inquire about a laptop rental program. Most of the time, it is already covered in your student activity/technology fee. Is it possible to stretch your budget beyond the month of August? Basic materials like paper, pens, or pencils will be easy enough to find at great prices this time of year. However, as hot as it is in most parts of the country this summer, can purchasing fall back to school clothes wait until September or October? (By then those holiday sales may have already kicked in as well!) 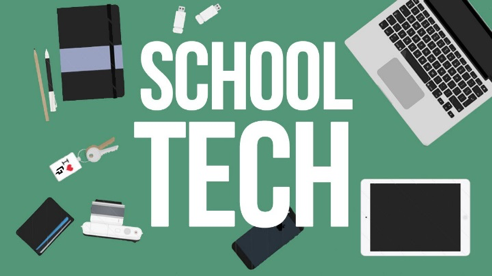 For trendier items for older kids, like a cell phone, laptop, or i-Pad check your resources. Reach out to your university’s digital media lab and inquire about a laptop rental program. Most of the time, it is already covered in your student activity/technology fee. For those students ready for advanced lessons on budgeting and financial management parents might consider the FIRM Card (Financial Independence Responsibility and Management Card) that, although is co-sponsored by Visa USA, is not a credit card but rather a prepaid debit card so teens can learn without the risk of debt problems. Parents can sign up their teen for the card, fund it, and monitor spending activity on-line. In addition, the FIRM program offers free on-line education for teens and parents about budgeting and other personal financial management tools, which could be a great way for parents to begin the process of teaching their kids about money management, even if they don’t make use of the card. After all, isn’t that what going back to school is really all about? Isn’t it about opportunities to learn new and useful lessons, which we can take with us into our lives and our futures? Yes, that sounds about right.